Featuring: Adrienne Clarkson, John Ralston Saul, Mayor Naheed Nenshi, Leroy Little Bear, Pam Krause, Natan Obed, Chris Turner, Anila Lee Yuen, Brad Zumwalt, and Sharon Butala, and Groundwork presenters Aleem Bharwani, Jeremy Klaszus, Colin Menzies, and Carrie Yap. 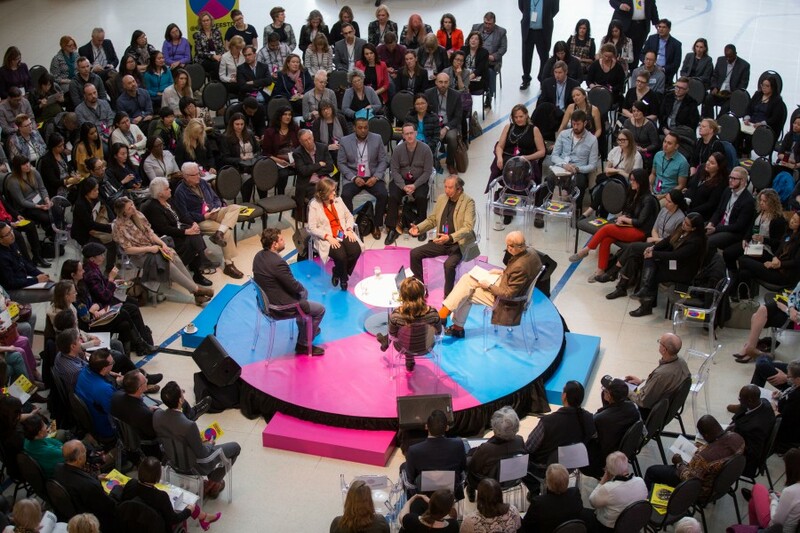 On April 10, 2018, we hosted 6 Degrees Calgary: Towards Resilience, convening local changemakers along with our Institute for Canadian Citizenship Co-Chairs to discuss how communities and societies can better build resilience. The day began with a series of diverse presentations in our Groundwork session, which explored the importance of contribution, journalism, community art, and urban planning toward creating healthy, informed and cohesive communities. Alongside Groundwork, Abdul-Rehman Malik engaged the crowd in interactive Coffeehouse roundtables for a more intimate examination of the day’s themes. Our 360 discussions, Where We Stand and Where We Go, then explored how we can make the case for diversity and demonstrate its beneficial impact on our communities, policies, and economies. 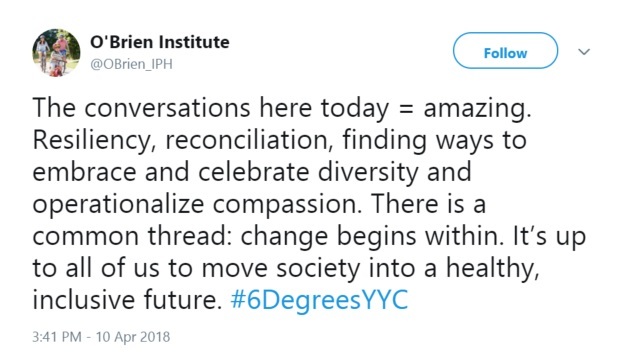 Watch the videos for 6 Degrees Calgary on our YouTube channel here. Thank you to the University of Calgary, the City of Calgary, Calgary Foundation, TELUS Spark, SAIT, Strategic Group, the Turnbull Family and Bow Valley College for all their support of 6 Degrees Calgary, and thank you to the University of Calgary, the City of Calgary, Shaw, Participant Media, Glenbow Museum, and the Calgary Foundation for all their support of the Human Flow reception and screening on April 11.